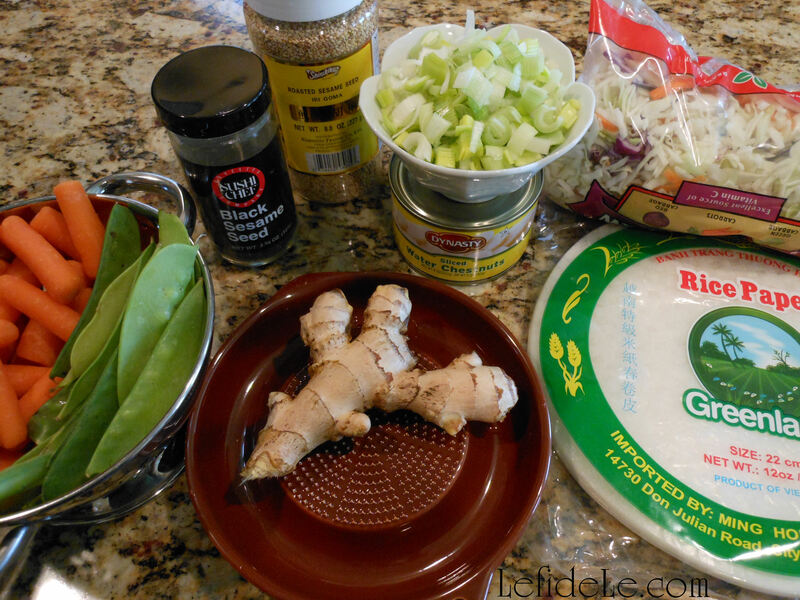 This allergy-friendly recipe for Pan Asian fresh spring rolls is a healthy alternative to the commercially available fried versions filled with little more than cabbage. 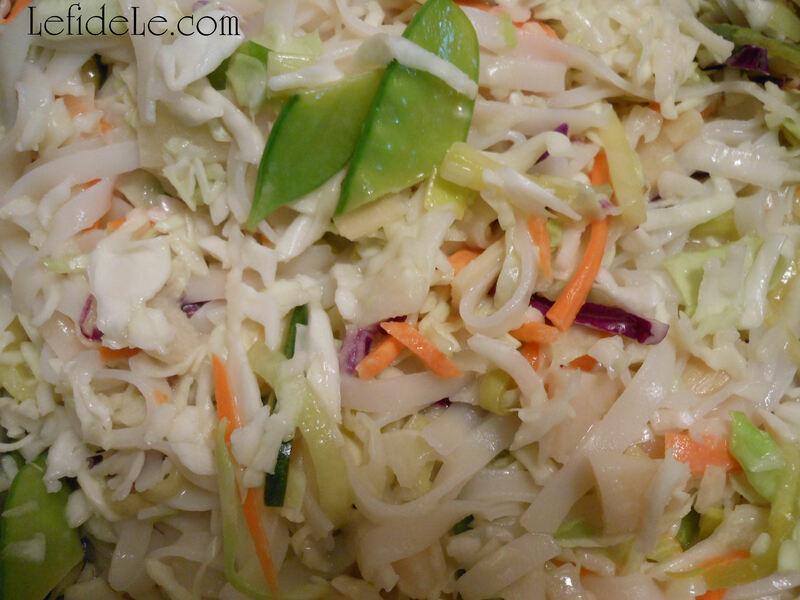 It uses many of the same ingredients as my recipe for rice noodles with veggies and creamy coconut sauce (see it here), so its ingredients can be set aside without adding prep time. This makes it perfect for the next day’s lunch. It’s gluten-free, egg-free, soy-free, corn-free, peanut-free, nightshade-free, and it’s easy to make vegan and fish versions at the same time… so everyone gets what they want without worry or fuss! Soak each rice paper wrapper individually in warm water for about 5 seconds… until soft and pliable. Lift the wrap and lay it over a new plate. 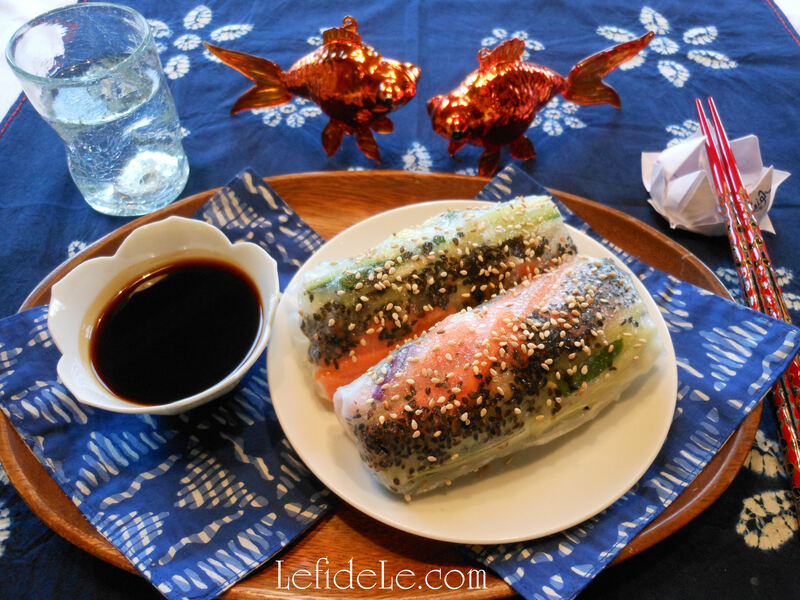 Sprinkle black sesame seeds onto the center of the wrap, and then layer on the fillings. (You can also sprinkle sesame seeds over the top once it’s finished.) 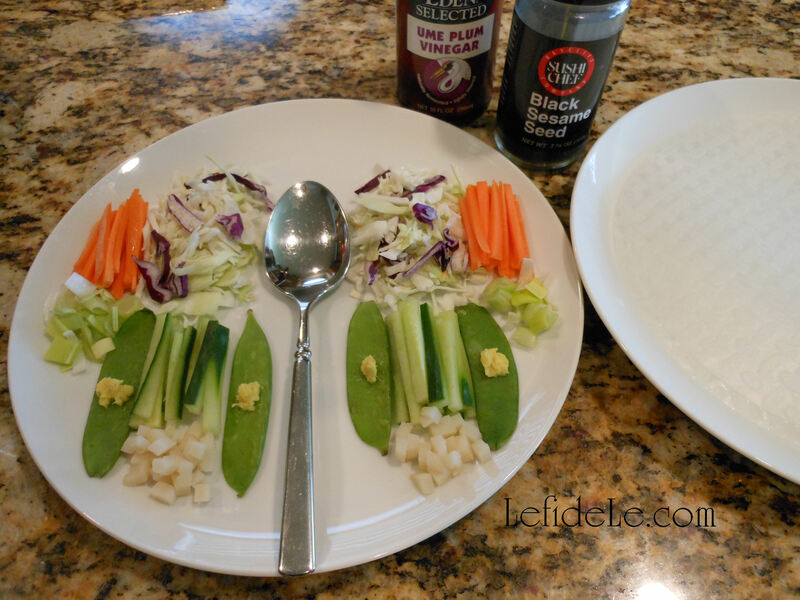 Sprinkle some ume plum vinegar over the veggies. Next, wrap it like you would a burrito… the two ends fold toward the center, and then the long sides fold one over the other. (It’s great cooking for crafters because it’s like kitchen origami… where it’s okay to play with your food!) Place it in the refrigerator for about 1 hour to settle in before chowing down with your favorite dipping sauce. Enjoy! P.S. You can also totally just ignore my list of ingredients and throw in whatever you feel like… as in leftover take out combined with bagged salad! 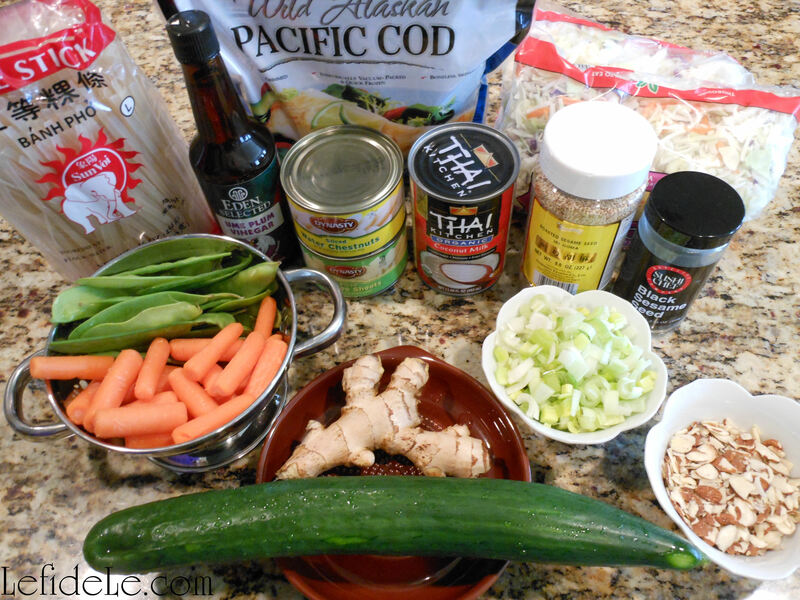 This allergy-friendly recipe of Pan Asian rice noodles is loaded with veggies that are made delicious with the addition of creamy coconut milk sauce. 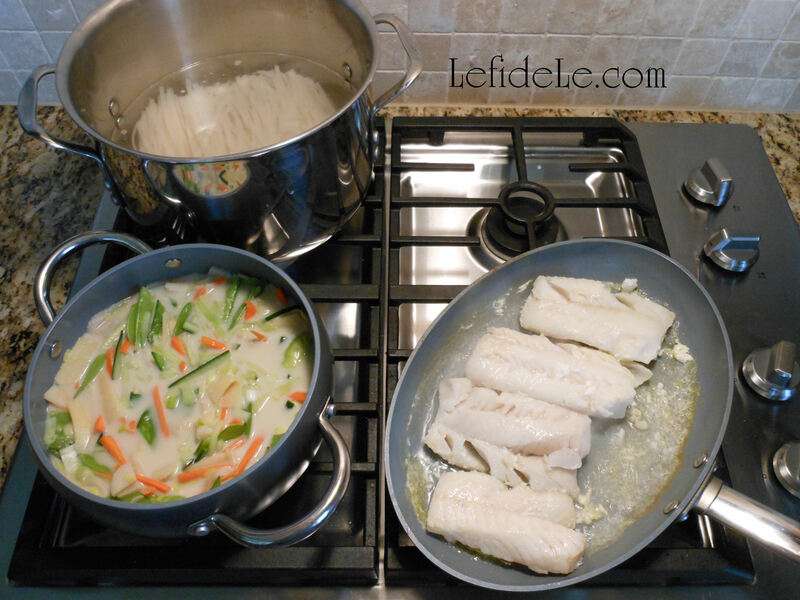 Sautéed wild-caught cod is an easy addition for the non-vegans to devour. It makes a dish lovely enough for company, but is also healthy enough to serve to family alone. 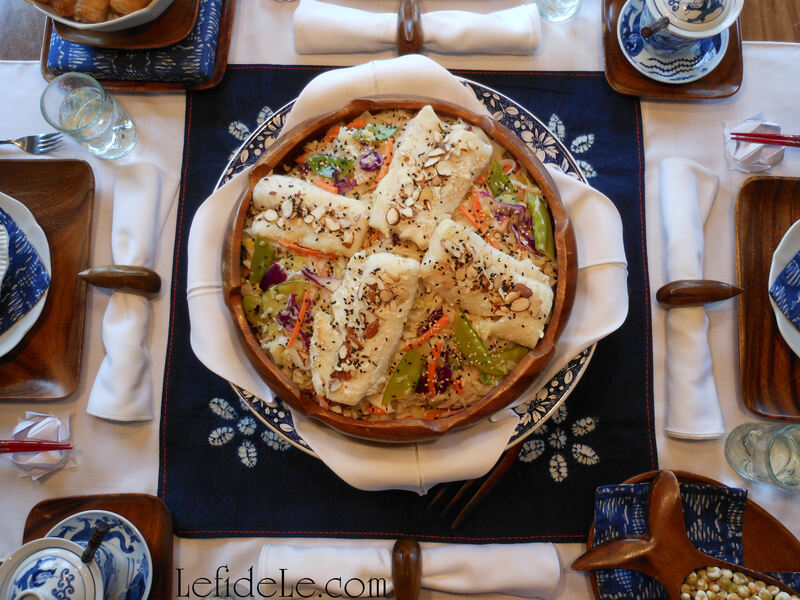 Just be sure to save some of the ingredients for fresh spring rolls for the next day’s lunch (see my recipe here). It’s also gluten-free, egg-free, soy-free, corn-free, peanut-free, and nightshade-free for everyone to enjoy without worry! 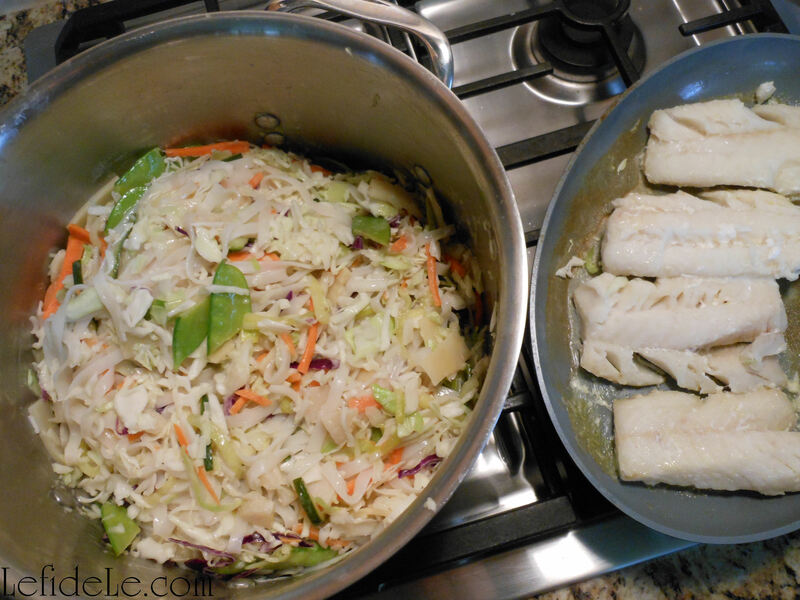 Dear vegans: skip this part… Sear the cod fillets on both sides, and then lower the heat and sauté 4-5 minutes in grapeseed oil… until the flesh is opaque and flakes easily. (Grapeseed oil is great for any stovetop cooking because it has a neutral flavor and a high smoke point that will not become carcinogenic with high temps like many other oils.) 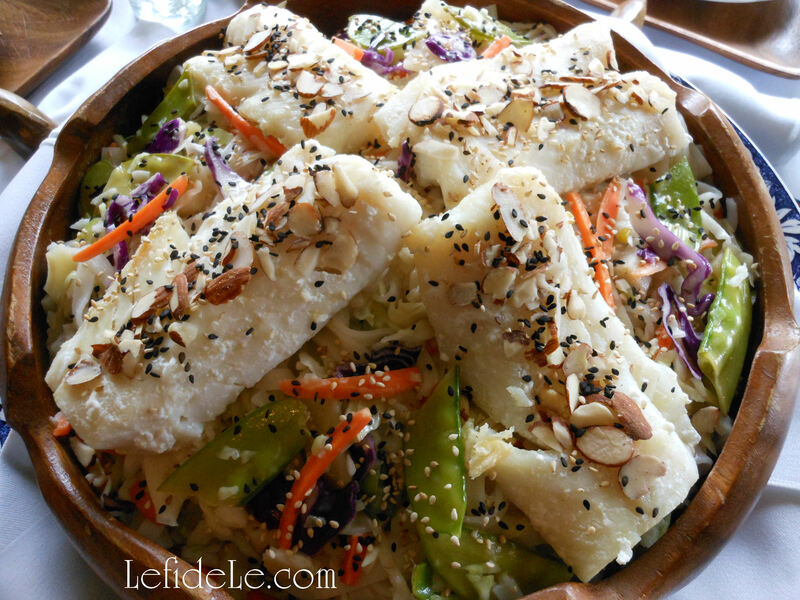 Sprinkle with sliced almonds and sesame seeds if desired. Make the sauce by dissolving the sugar in the vinegar and lemon juice over low heat. Add in the coconut milk (all portions of liquid and solid from the can) and mix well. Next add the salt and grated ginger, and mix well. Then add all of the veggies, stirring well. When the rice noodles have finished cooking, drain them into a colander, and then place them back into the same warm pot. Next pour in the sauce veggie mix, and stir well. Serve it right from the stove, or transfer it to a pretty dish layering the fish atop the pasta. 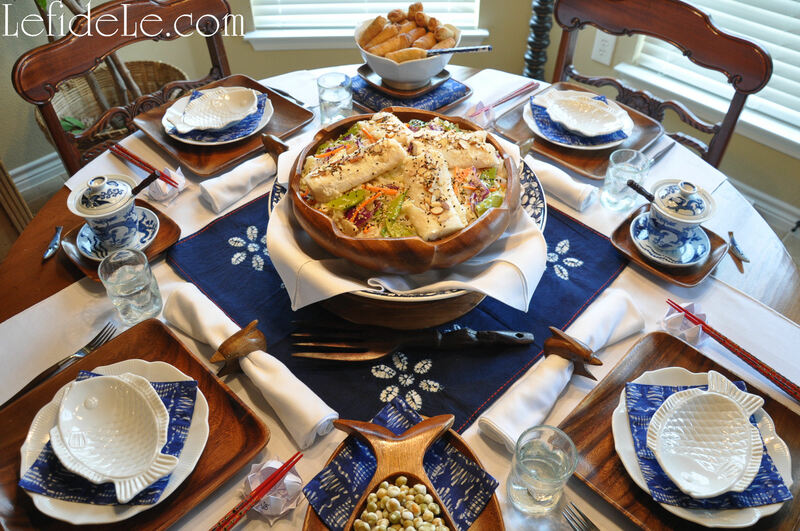 Here it’s served family style as a centerpiece in my Pan Asian Inspired Indigo Shibori & Wooden Themed Tablescape (Perfect for Luncheons & Informal Dinners). Enjoy! P.S. Don’t forget to set aside some of the above ingredients for a healthy and tasty lunch like this one tomorrow!